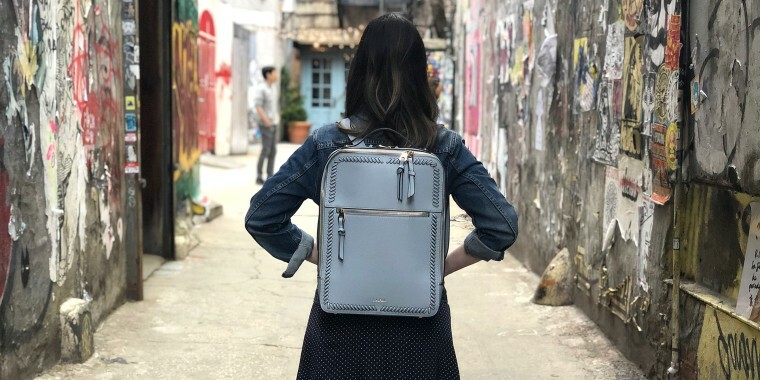 I love this backpack and I need everyone to know about it. It's been over a decade since I last rocked a backpack, but I recently found one I love, and I think everyone needs to know about it. In some ways, it felt like a defeat — I hadn't worn a backpack on a regular basis since high school. But, I knew the switch was necessary. So, I went out in search of knapsack that fit my taste. When I finally reached the point of no return, I asked around for recommendations, and my sister raved about Calpak's Kaya Backpack. She lauded the backpack for its durability and wearability, and she basically said she never leaves home without it. The laptop section does exactly what it needs to do. I feel like my computer's protected, and because of the wide straps, I don't have to worry about the weight of it digging into my shoulder. The front compartment is equally functional. It has a tall pocket to keep papers tidy and two smaller pockets for pens, lipstick and other tiny trinkets. I've been able to bring full lunches, hardcover books and even pairs of shoes in the main pocket of the backpack easily. Because the bag is so tall and slim, however, packing requires some strategic planning. For example, I try to avoid tossing a book on top of a sandwich because I'm afraid the force of gravity might render that sandwich a smushed mess. The front of the backpack has a small zip pocket that I've come to rely on for things I need to grab frequently — like my metro card, my work ID and keys. I know, I know, I'm so vain. But hear me out! I want to feel good about this thing I've got strapped to my back for up to two hours every day. Random passersby will comment on how nice my backpack looks or ask where I got it. Being able to share my love for this piece instantly lifts my mood. "I've received more compliments on this single item than anything I've ever owned in my life," she said. "The first time my mom saw it she got mad at me because she thought I blew all my money on a Valentino backpack." Ha! 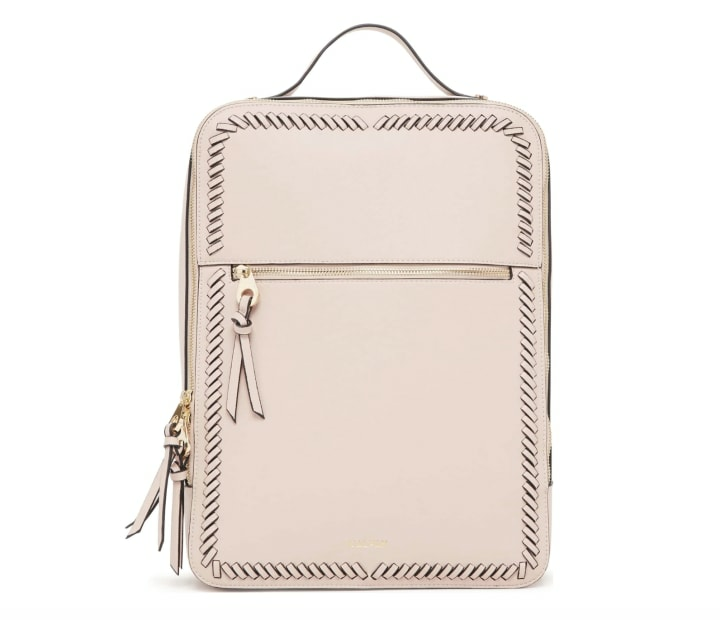 We do NOT have Valentino money, but it's nice to know this $89 purchase looks that luxurious.